The St Pancras Renaissance hotel is a truly remarkable place to stay in modern London. Recently renovated to its former Victorian glory, this 5 star hotel is impressi.. This luxury five-star hotel is a home from home for travellers to the city of London. 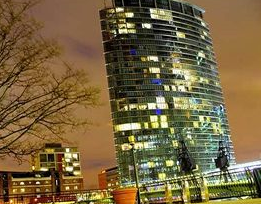 This 32 story building located that house the London Marriott West India Quay hotel,..